I took M to a doctor’s appointment yesterday and had to wait for him off site to avoid having to pay for parking – you know. 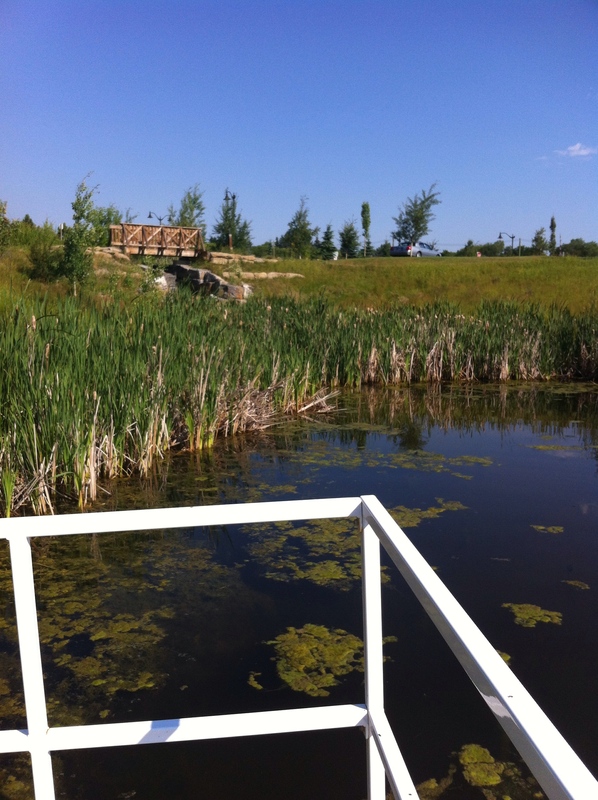 While I was waiting, I took the pooch for a walk around a little man-made wetlands at Heritage Park. It was neat. 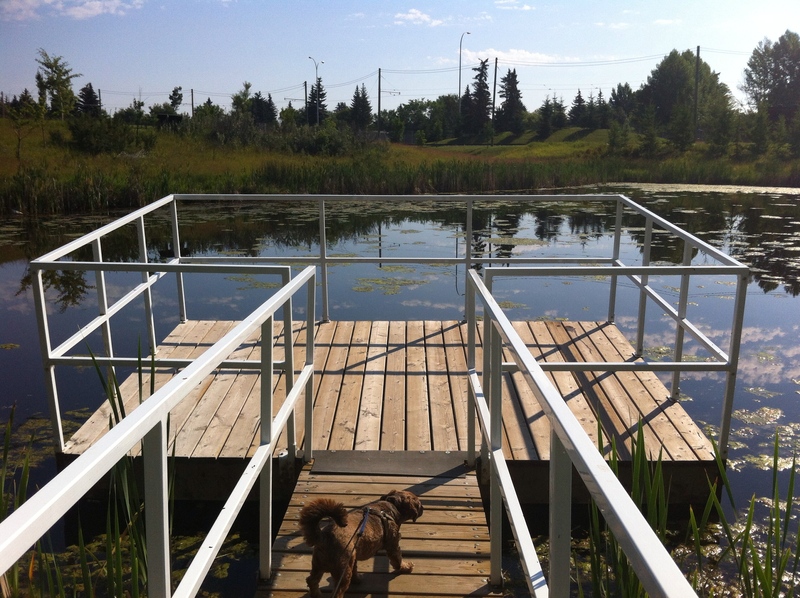 They even went to the trouble of installing a couple of small floating ‘piers’ so my little ‘pee-er’ could have an adventure. 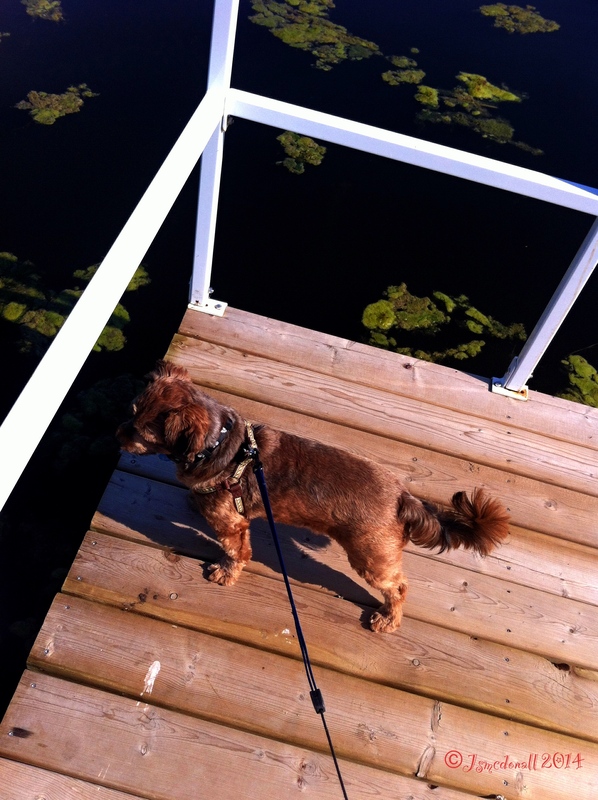 It was like walking on a small boat.